As the virtual reality industry continues to grow and expand, enthusiasts and curious gamers alike are keeping their collective eyes out for killer apps that take advantage of VR HMDs’ unique capabilities. Who would have thought that a relatively simpler concept would dominate the scene, as Beat Saber has become one of the most talked about VR games thus far. 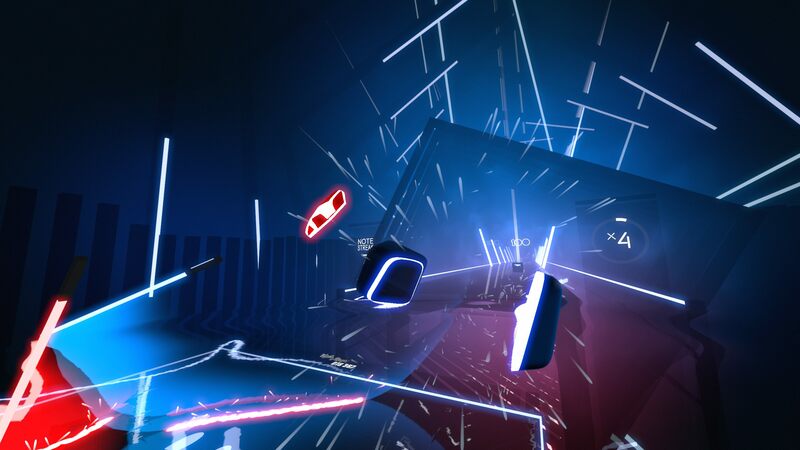 Beat Saber is a rhythm game where players swing lightsabers in specific directions while dodging obstacles all to the beat of some hot tracks. On PC, there’s a growing collection of custom additions to the game that spans from anime opening themes to Eminem’s rapid-fire rhymes on “Rap God.” You can watch me struggle through a bunch of songs in the VOD below. Watch Reality Bytes: Sweet Shack Moves In Beat Saber [Custom Songs] from Shacknews on www.twitch.tvThe virtual reality rhythm game is easy to learn, difficult to master, and an absolute blast to watch others play. It’s still officially in development, but has made such an impact that the development team has partnered with Skonec Entertainment to launch a Beat Saber arcade machines. With the VR install base still in a period of growth, having a location-based product available is a major boon. Another thing you may have noticed if you watched the VOD above is that Beat Saber is a workout too. That’s a bonus that’s magnified by my being way out of shape, but it is another element of VR games that will resonate with certain audiences. Beat Saber has expanded from PC VR to PSVR, but is still an early access title. Beyond adding a lot more music to the core game, there’s no telling what Beat Saber will be like when it reaches 1.0. With hope, the development team will further solidify the game as one of the definitive VR experiences that will be a must-play for months or years to come.